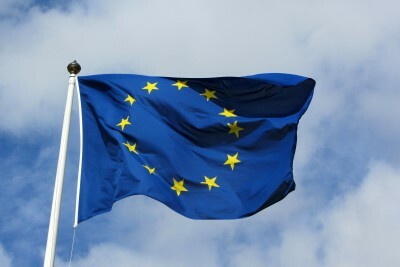 What is the purpose of the European Union? This question has been on the minds of everyone following the UK vote in favor of Brexit. Yet in the mad scramble to make sense of the United Kingdom’s rejection of the EU, little lucid commentary has been made. European leaders, the fawning media, and UK citizens alike portrayed the vote as either a refusal of EU austerity, or unhappiness with immigrants and open borders. So which one was it: a rejection of austerity or immigration? Were UK citizens fed up with austerity measures, and with unreasonable and onerous regulations and taxes paid to the EU bureaucracy? Or were Brexiters caught up in a fever of anti-immigrant nationalism and populist demagoguery, egged on by the odious Boris Johnson and Nigel Farage? In truth, this is a misleading either/or question: UK citizens were fed up with both lax immigration controls and EU-imposed austerity. By framing the question this way, political commentators miss the larger picture: it is globalization that is the cause of the disintegration of Western political systems and civil society, and it is globalization, i.e. predatory capitalism, that is the root cause of the anger and rage felt by voters of Brexit. This rage was displaced: for white, working class UK citizens facing declining living standards and social mobility, immigrants are easy targets for their fury to be unleashed on. The undemocratic, sclerotic, neoliberal rule emanating from the EU also made for a useful scapegoat. No one can doubt the contempt and disregard EU leaders have for ordinary citizens, and for a genuine people’s democracy. Besides each member nation offering citizens their own referendum to stay or leave, what else can be done? This brings us full circle, back to the question: what does the EU stand for? Reduced to a single word, there can be no doubt that at the moment, the EU’s leadership unflinchingly promotes globalization, the tentacle-like network of transnational capitalism, along with all its militarist, industrialist, oligarchic, and kowtowing media trappings. This is the new boss, same as the old boss. EU finance leaders are unaccountable to their citizens, just as European and world business leaders are plotting to unravel national and supranational regulatory structures by imposing the TTIP, TISA, and TTP trade deals. Yet there is another vision of Europe which can supplant the consumerist, neoliberal mold that the EU is turning into, ostensibly in order to compete with the US and China. The idea of a universal world culture, with dignity and egalitarian democracy for all peoples, is what Europeans should strive for. This is hinted at in the UN Universal Declaration of Human Rights, which sets the tone for future forms of limited international governance and worldwide social justice initiatives, cultural and environmental rights, and individual liberties. This sketch of a livable future world confederation, with nonviolent social relations, has its roots in the great Immanuel Kant’s “Perpetual Peace”. Imagine if all EU policy-makers were required to read such a revelatory work, and form legislation based on it. Of course, the pro-capitalist EU leadership won’t take action without momentum from civil society. For this to happen, what Bassam Tibi calls a Leitkultur (“Leading Culture”) must develop. This means that the postmodern illusions of superficial multiculturalism and cultural relativism must be squashed. For Tibi, Enlightenment values, based on universal rights, secularism, pluralism, and democracy must be protected and expanded for all Europeans, which could re-engage and spark interest among citizens to rework the wider social fabric. Additionally, this may have the effect of dislodging people in the West from their Eurocentric bubbles. With significant progress, widening empathy for others could foster the internationalism needed to provide poorer countries with the resources, technology, and solidarity to vanquish poverty, improve quality of life, and fight against Western-backed tin-pot dictators in the developing nations. While Steiner is in favor of European integration, for him, a proviso is necessary: Europe must not give in to the standardization, to the tyranny of the masses, and the homogeny of Anglo-American culture, or the authoritarianism of the emerging East Asian model. Europeans must embrace their differences, their local traditions, even as they maintain a wider Union to stave off warfare and unbridled economic competition. For Europe to thrive and maintain global influence, the traditions of great art, literature, and radical humanism should be nurtured, with economic preferences given to small businesses and cooperatives. This is in contrast to the US-UK “merchant model” of the transnational conglomerates, or their Asian counterparts, the Korean Chaebols and Japanese Keiretsus. We know what the EU stands for now: globalization and all its discontents. The dreary, neoliberal perspective of leaders like Hollande and Merkel must be replaced: it is the most radical ideas of visionaries like Kant, Tibi, and Steiner that should be upheld. In doing so, the myopia and selfishness of the capitalist worldview becomes all too clear. By embracing universalism, the roots of world conflict can be addressed: material poverty in the developing nations would be history within a few short years, if, for example, the West reallocated their military budgets to such ends. Conversely, the spiritual emptiness of rampant consumerism and sensationalist media could be vanquished in the West, if compassion and solidarity is expanded towards Asia, Africa, Latin America, and indigenous peoples across the globe. Capitalism, and the expanded version of globalization are Europe’s past: the only possible future is to embrace universalism.